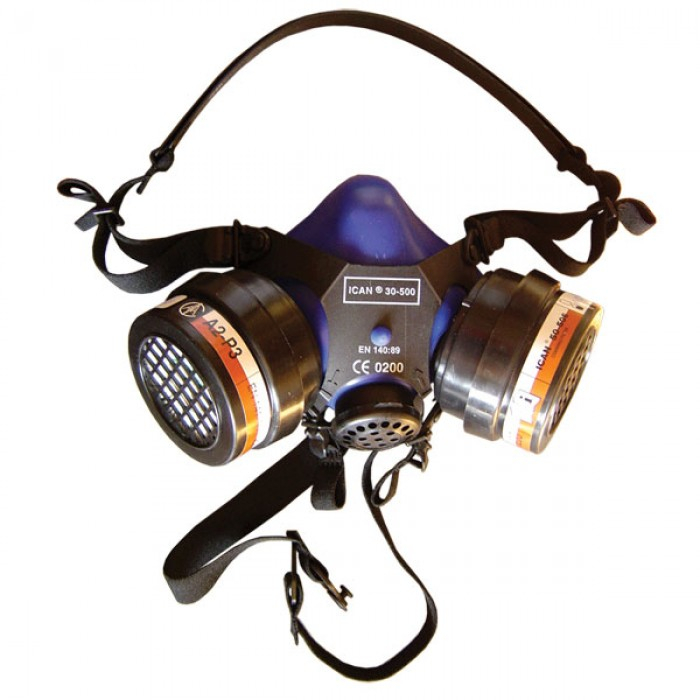 ICAN HALF MASK 30-500 is a newly developed and state of the art half mask which provides safety and comfort in even the most exacting working environments. Exhalation valve: Exhalation takes place through a very low resistance exhalation valve which is placed in a valve housing and is thus well-protected against contamination and impurities. The exhaled air is led directly out of the mask so that the air exchange is improved considerably since the amount of moist exhaled air remaining in the mask is kept to a minimum.